I’ve got a new job… I am the Science Advisor to the Winnie the Pooh Science Party. Beat that! I was ever so hopeful that this would turn out to be a new political movement, and was excitedly trying to anticipate what their policies might be, but tragically, it’s a one-of event for primary school children in St Andrews. 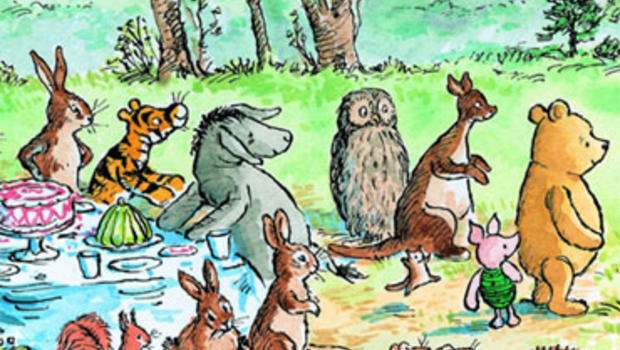 It’ll be great – it’s all about how the senses work, hung round Pooh characters, and will possibly feature live donkeys, owls and bees – what could possibly go wrong? I’m still not convinced it shouldn’t be a new political party though… I would definitely join; it sounds so much more fun than any of the others. « Wonderful science, but down with boffins!